The African American Association is an organization of primarily African-American students whose goal is to promote academic success and cultural development among its members. This organization exists to empower African-American students through the development of effective leadership skills. The intent of this organization is to create an environment in which the natural talents of the individuals are enhanced and the principle of umoja (unity) is encouraged..
SFSC students will celebrate Black History Month with a mix entertainment and food on Thursday, Feb. 23, 12:15-1 p.m., in the lobby of Building B, Highlands Campus, Avon Park. Students from SFSC’s African American Association and the Student Government Association (SGA) have organized the celebration to commemorate the annual observance of Black History Month. Students will be treated to dirty rice, green beans with ham, baked chicken, candied yams, mac ‘n’ cheese, corn bread, and sweet potato pies. Students Caleah and Camille Gammage from the SFSC African American Association will present “A Trace of Black History Through Song and Dance.” Mary Beadle, the association’s president, will deliver a brief talk titled, “Diversity is Each of Us and All of Us!” Johntavia Tucker, an association member, will perform an African-themed dance to close out the celebration. For more information, contact Felecia Dozier at dozierf@southflorida.edu. In 1845, Macon Bolling Allen was the first African-American to pass the bar examination and practice law in the United States. In 1848, he was the first African-American appointed as a justice of the peace. 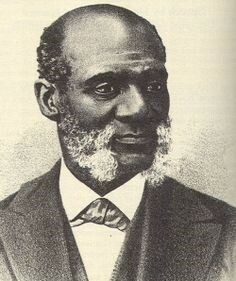 He is believed to be the first black man to hold a judicial position in the United States, even though in the eyes of many lawyers of his day he was not considered a United States citizen because he was black. 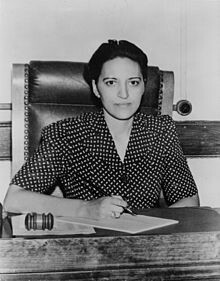 In 1932, Jane Bolin was the first black woman to become a judge in the United States. She was also the first black woman to earn a law degree from Yale University and to pass the New York State Bar Examination. During her legal career, Bolin worked to end segregation in child placement facilities and the assignment of probation officers based on race. She also helped create a racially-integrated treatment center for troubled boys. Rosa Parks will always be known as a courageous woman who stood up for her rights and the rights of others. Growing up during segregation, life was hard for Parks and most African-Americans. 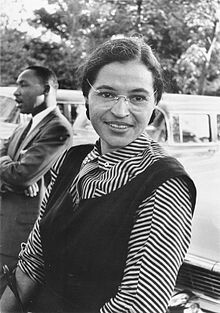 While on a public bus, Parks stood up for her rights and refused to move to the back of the bus for a white man. Parks suffered a backlash for her refusal, but it marks a turning point in American history. Parks never let her pride and dignity as an individual falter. She served as a looming figure in Civil Rights movement and was beloved by many until she her death in 2005. Fredrick Douglass was born in 1818. Many Northerners could not believe Douglass had been a slave on account of his skills as an orator. He became a free man after many failed attempts to escape servitude. 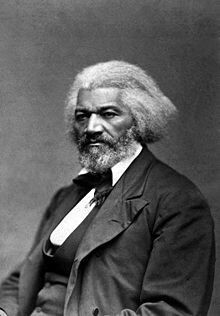 He was the author of many autobiographies, including one titled the “Narrative of the Life of Fredrick Douglass,” in which he wrote of his life as a submissive peasant and child growing up under slavery. He became the first African-American nominated for Vice President of the United States. He wrote on behalf of many reform causes: women’s rights, land reform, and temperance. In the 1920s, Florence Mills starred in the Broadway Musical “Shuffle Along,” which inspired the growing popularity of tap dancing. Later, she starred in “Plantation Review,” which toured in London in 1924. 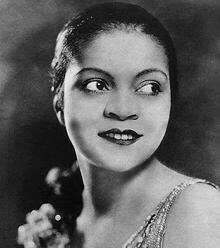 Her next musical, “Blackbirds,” opened in London in 1926 and her song “I’m a little Blackbird looking for a Bluebird” became Mills’ theme song. Her singing was remembered for its beauty and her dancing was noted for a comedic streak audiences loved. She became a star in both New York and London. 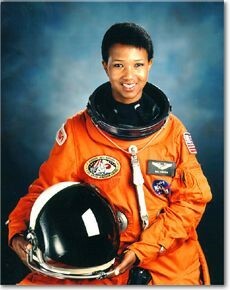 She passed away at the age of 32, with thousands attending her funeral in Harlem.